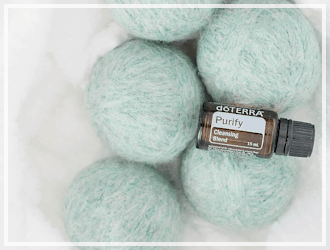 Did you know you can make your own Homemade Fabric Softener Crystals like the ones Purex makes? 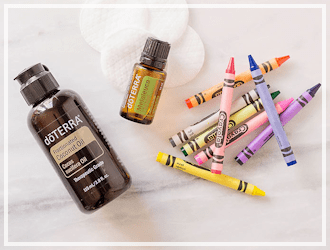 All you need is 2 ingredients too – Epsom salts and your favorite essential oils. 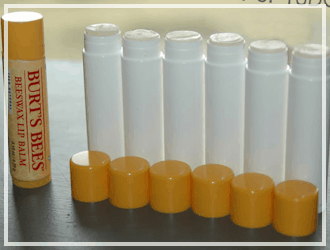 If you have ever used those fabric softener crystals in the store you will know one little container of these will cost you upwards of $5.00-$6.00 depending on the size. My own homemade laundry recipe costs around $20 for a year of detergent and one of the ingredients I use is the Purex crytals. The Purex Crystals in the recipe is the most expensive ingredient, so I attempted to make my own fabric softener crystals recipe to save money. And I was able to save $4.12 off the recipe. First I turned over a container of Purex crystals to read what was inside of them. Sodium Chloride, PEG Distearate, Bentonite, Sodium Silicate, Fragrance, Silica, Liquitint Red ST, Liquitint Blue HP. Okay – so Sodium Chloride is salt. The rest of the ingredients are basically fragrance, colorants and thickeners. Stuff we don’t really NEED, right? The more natural the better I say, because I have a little girl who has very sensitive skin. 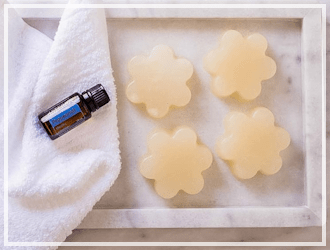 Epsom salts + essential oils for fragrance are all you really need! Just take your Epsom salts, and pour them into a bowl. A 2 lb. 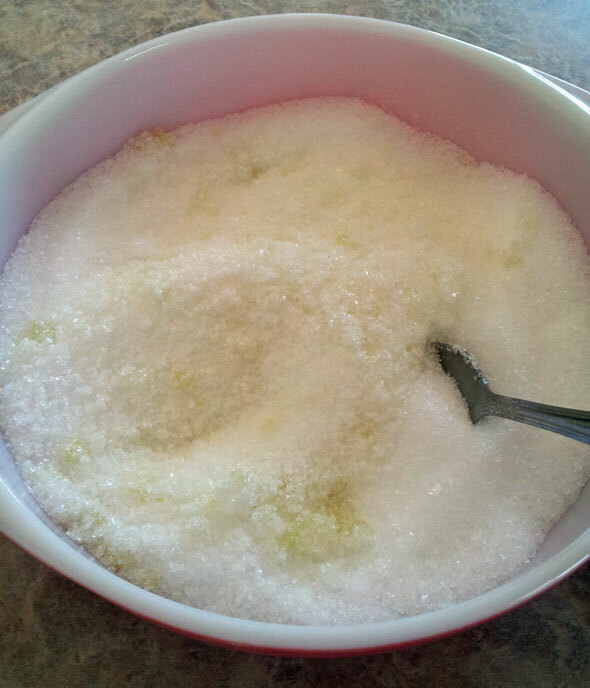 box (a little over 4 cups) of Epsom salts only costs $0.88 at Walmart! Then add about 40 drops of your favorite essential oils. Order (my favorite brand) essential oils here. My favorite scent for my homemade fabric softener crystals is a combination of 20 drops of Lavendar and 20 drops of Lime. The combination is heavenly. But you can really just add whatever scent you love the most. In fact you could probably have it be non-scented if you wanted to as well which would save even more money. The salts alone would soften your clothes. After you add in the oils, mix it all up until thoroughly blended. It took less than 2 minutes of mixing to be totally incorporated. 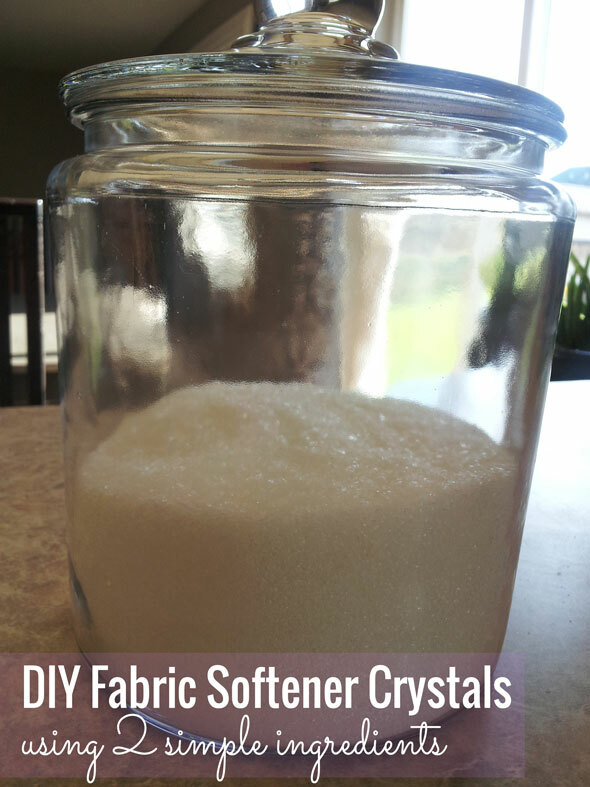 You have homemade fabric softener crystals! Store them in an air-tight container or just pour the whole 4 cups into your homemade laundry recipe. If you use store bought laundry detergent you can just add a small scoop (1-2 tablespoons) of these crystals to your wash to soften your clothes. Oh and try not to sit and just sniff your jar all day long. I know it’s tempting…. I know. While the smell is strong in the jar, it’s not as strong on my clothes coming out of the dryer. Purex crystals were stronger, but they also had a lot of strange fragrances, mine are pure essential oils that I know are good for me to be breathing in. My clothes do smell lovely still and they are so soft using this recipe. 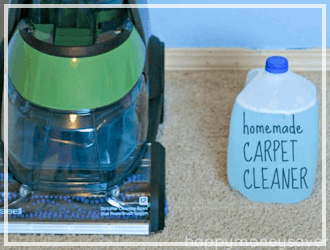 The next time you make homemade laundry detergent make sure and also make this homemade fabric softener crystals recipe along with it to save you money. This takes the price of my detergent down to just around $16.89 vs. $20.21. Sweet! Mix them together and you are done. 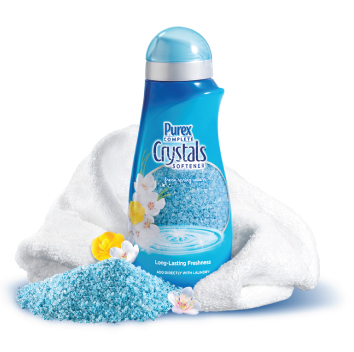 Final price $1.88 for homemade vs. $6.00 for Purex Crystals at the store! Like Purex, but much less expensive. Mix The epsom salts and essential oils together and you are done. Thoughts? 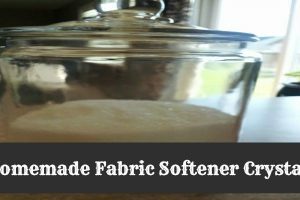 Have you tried to make your own fabric softener before? Have any other great homemade recipes you would like to share? Find more frugal living recipes and DIY ideas here. I just wanted to throw this out there for those wanting your clothes even softer…you can actually take a decent size square of aluminum foil and throw that in the dryer with your wet clothes to add softness and eliminate static cling! I forgot to add that you need to ball up the piece of foil…sorry! One of the reasons your fabric softener crystals didn’t smell as strong when you took your clothes out of the dryer is because heat lessens the smell of essential oils. I would suggest not putting any oils at all in the Epsom salts; just use as is. 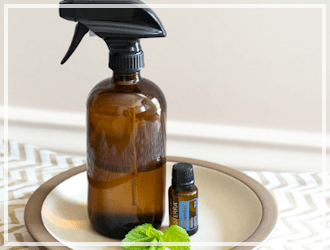 However, once your clothes are dry, add a few drops of the essential oil of your choice onto a clean, dry washrag and run your clothes on air dry or low for about 5-10 minutes. Problem solved! That’s what I do (my favorite scent is orange/grapefruit/lemon for towels and sheets in the summer; in the fall, I like clove/cinnamon/orange). Darn, I meant to also suggest using Kosher salt rather than Epsom salt. Sorry. I know this is a hard question, but would take a guess on what essential oils I should use to actually replicate the “well Being” crystalls from Purex? Is there a oil combination you can recommend? Hmmm… I’m not sure, anyone else out there have any ideas? Hi Karrie, little late to the green party on fabric softener! I always hand wash with laender castile, is this Epson salts safe for a gray water hole? IE no running water, we use the lake and some buckets… I really need a softener so tried of prickly towels! 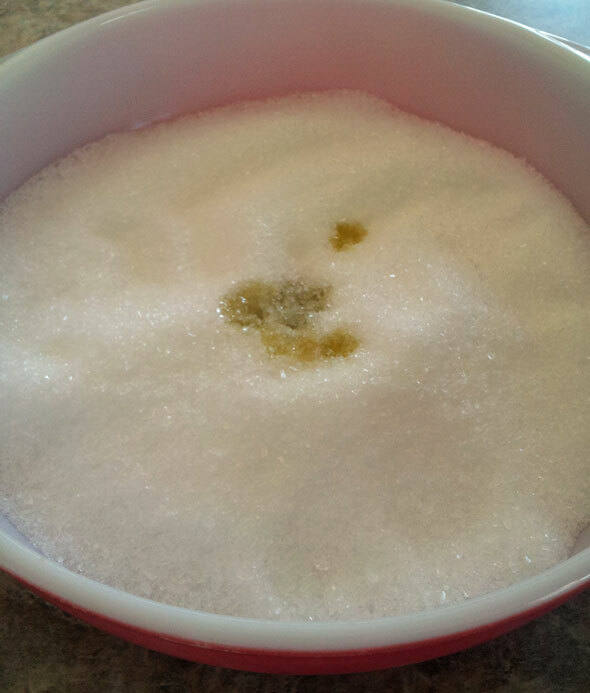 Can you add the Epsom salt to the detergent recipe? Also, I would not use bentonite clay if you have a septic system. It is used to settle particles out of wine and that means it will lie on the bottom of your septic tank and eventually have to be pumped out. I use this all the time to fragrance my laundry. BUT you can’t call this fabric softener. Epson salt is a water hardener. Hello! Just whipped up my batch. 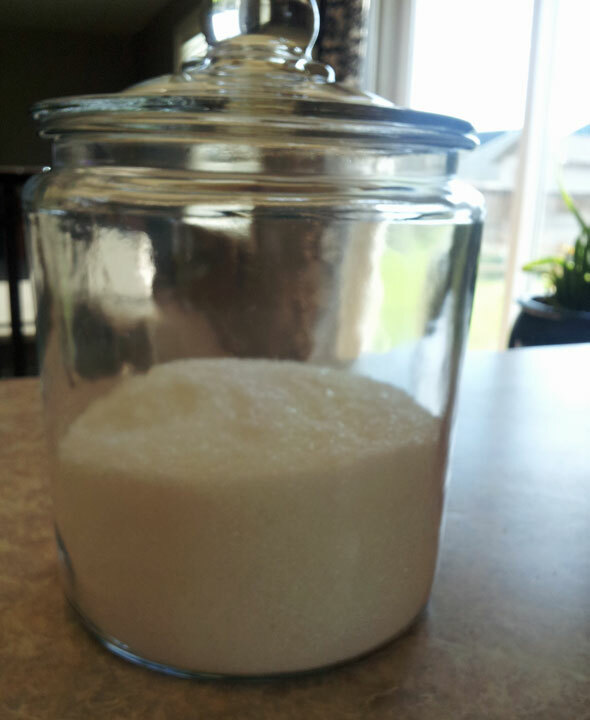 I am going to add some to my homemade powder laundry soap. The recipe I used to make my DIY laundry soap called for only 1 cup each of Borax and Washing Soda, and one bar Fels Naphtha. 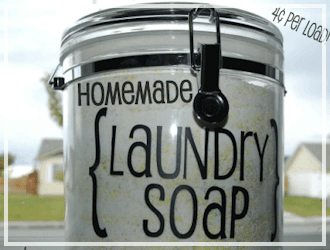 So how much of this DIY Fabric Softener should I add to my laundry detergent? One cup..? Certainly not all four cups 🙂 Thanks! Epsom salt is not salt at all, it’s magnesium chloride, which makes water harder. Your detergent won’t work as well in hard water. Do not use epsom salts in your laundry. Epsom salts are magnesium sulfate and sodium chloride is table salt. Just FYI. I don’t know if magnesium sulfate hardens or softens water but if you are wanting to copy the purex crystals just some coarse salt would be a better choice.